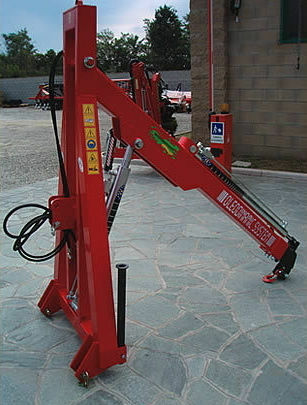 The TFG 300 is a small hydraulic crane to be hitched to the rear of the tractor. 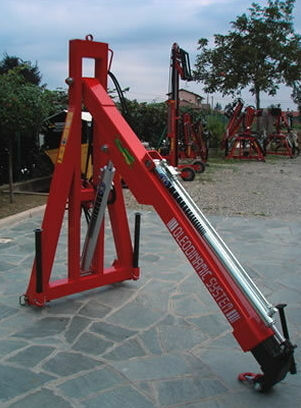 This practical machine come equipped with a hydraulic piston extension to life and transport objects thanks to the hook positioned on the end. The arm can be extendned and has a variable lifint capacity.